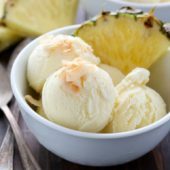 Creamy homemade piña colada ice cream, bursting with coconut and pineapple flavors. A fun dairy-free frozen treat to cool off with! We’re in the final stretch for the school year. Just three days left… or two and a half if we’re getting specific. The kids are excited and yes, I am too. Summer break is far more exciting to me than any of the individual weeks off during the school year. Nicer weather and a longer break means not only more time to do things (or nothing at all) but more time allows for a more carefree attitude about plans. You’re not limited to 7 days to get activities done in. I’m absolutely looking forward to fewer alarms. The standard five or six daily alarms will be a thing of the past for a few months, with just a few occasional alarms for various activities. We’re shooting for a stress free laid back summer, full of reading, splashing in the pool and having good old fashioned fun. I’m kicking off my summer reading with Truly Madly Guilty. I’ve yet to start, but it’s on the top of my to-do list! Fingers crossed it’s good. If not, at least I borrowed it from the library! I have a growing list of options for the rest of the summer but am always looking for new ones to add to my list. If you’ve read something great recently, let me know! Once warm weather hits, I have a hard time thinking of anything besides ice cream. Fun frozen treats to cool off with… why wouldn’t that be on my mind? 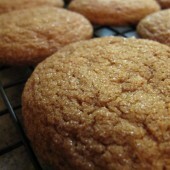 I love stocking my freezer full of creamy homemade treats. 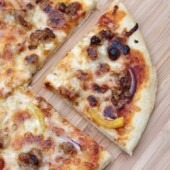 Some nights, it’s a dinner necessity when it’s just too hot to even bother cooking. It’s okay to admit that you do it too! I turned a classic cocktail into an irresistible ice cream. 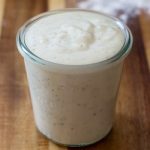 Creamy homemade dairy-free piña colada ice cream! 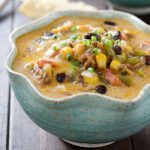 It’s bursting with coconut and pineapple flavors! And a big bonus… it’s silky and scoop-able straight from the freezer! No waiting or heating up an ice cream scoop. Just scoop and enjoy. 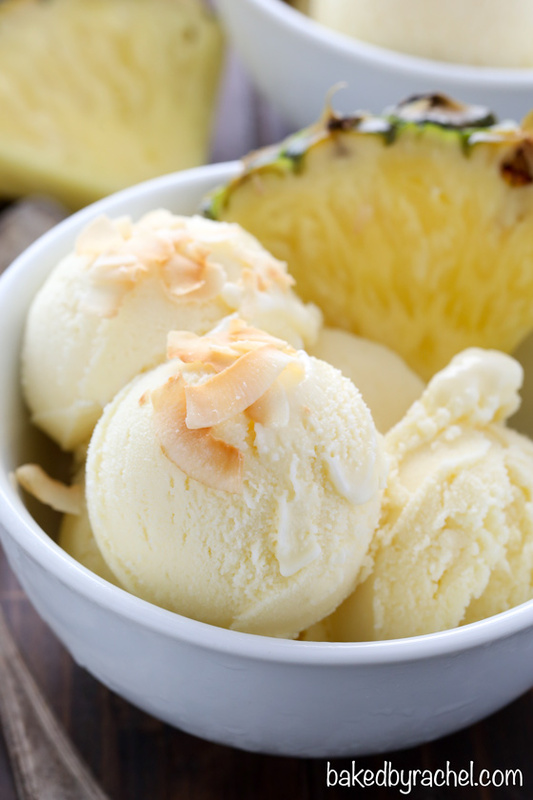 Be sure to enjoy a scoop or two topped off with toasted coconut flakes and a slice of pineapple! 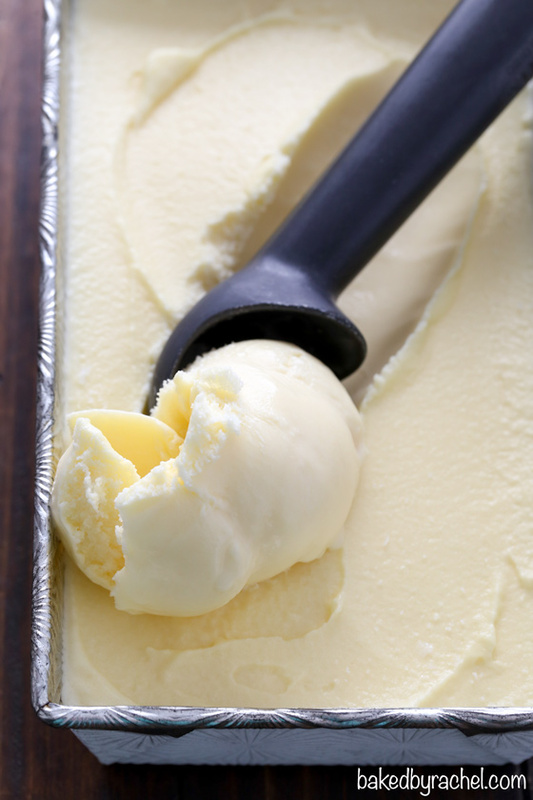 This easy piña colada ice cream is a summertime essential! 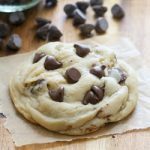 Add this fun frozen treat to your dessert plans! 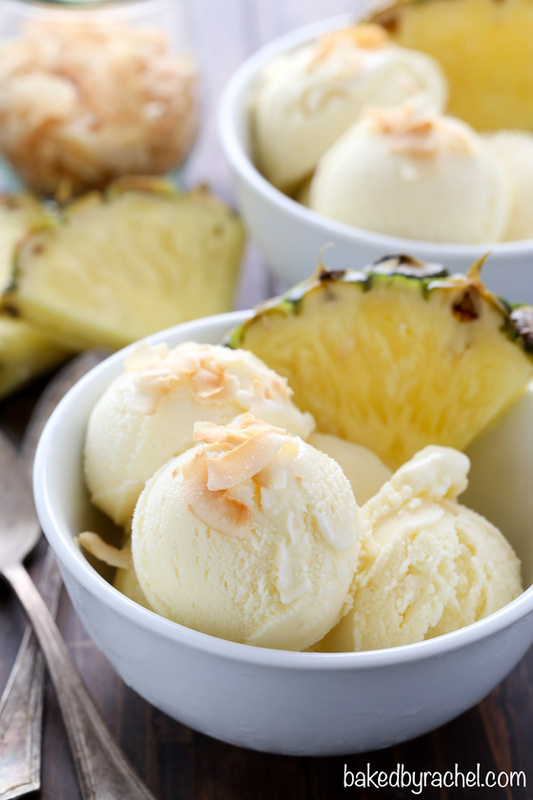 Creamy homemade piña colada ice cream, bursting with coconut and pineapple flavors. A fun frozen treat to cool off with! Whisk together coconut milk until smooth. Measure out 3 cups, reserve any remaining for another use or discard. Add 1 cup coconut milk to a medium bowl with a mesh strainer set on top. Set aside. Add 2 cups coconut milk to a small saucepan with granulated sugar. Stir to dissolve sugar. Cook over medium heat until steaming. Continuously whisk yolks while slowly drizzling 1 cup steaming coconut milk mixture into yolks. Return to saucepan. Cook until mixture coats the back of a wooden spoon or rubber spatula. Pour through a mesh strainer into reserved 1 cup coconut milk. Stir in coconut extract, rum extract and pineapple juice. Stir to combine. Cool over an ice bath to room temperature. Cover and chill thoroughly. 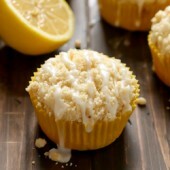 Serve with optional toasted coconut flakes and pineapple slices. This looks and sounds incredible. I love this flavor! 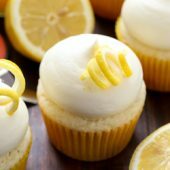 We are huge pina colada fans in my house so I need to make this soon! It’s a great way to cool down this summer too. 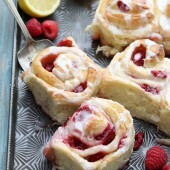 Oh my goshie-gosh, this looks and sounds delicious!! What a fun flavor of ice cream to kick off summer vacation! 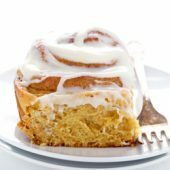 Looks so creamy and delicious! Love that it’s dairy free too!